Having problems with your garage door? We can help! 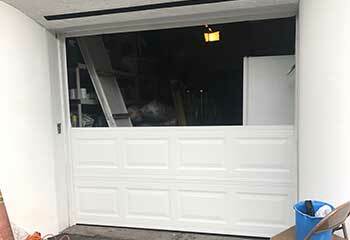 Our company has been offering garage door repair services to local residents for many years now! You can find out more about us by scrolling down here! 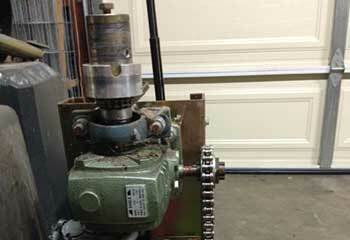 Customer Issue: Moisture damage caused the chain of Ms. Frisk’s opener drive to corrode, and eventually break. Our Solution: With a replacement drive chain from Genie in hand, our technicians shut down and unplugged the opener and partially disassembled the motor in order to remove the old chain and replace it with a new one, which they also connected to the trolley. The subsequent functionality and safety tests were successful. Our Solution: After disconnecting the system and placing a clamp to ensure the door would not move, we pried the track open to remove the broken rollers. The new rollers were then put into place and the track closed again. 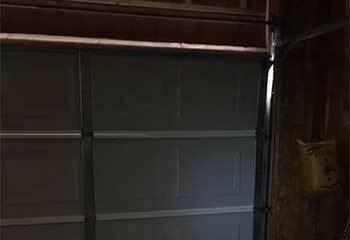 Customer Issue: Garage door has gone off track. 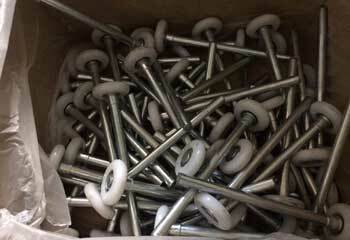 Our Solution: We inspected the track and found that it was deformed and in need of replacement. We removed the door to replace the track, and made sure the door was working smoothly after placing it back on the new track. Customer Issue: The door was shutting with too much force and was very dangerous to operate. Our Solution: We removed the single worn spring and installed a brand new stronger model better equipped for a large door. 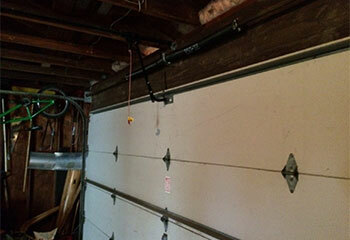 Customer Issue: Ian needed a new single garage door. Our Solution: He selected the Clopay Gallery model that we supply and we were able to install them completely for him within the same day.